A common trend among video game publishers and developers has been the use of movie licenses to develop games. Some examples include the Reign of Fire and Minority Report, which were two major letdowns in the gaming industry. 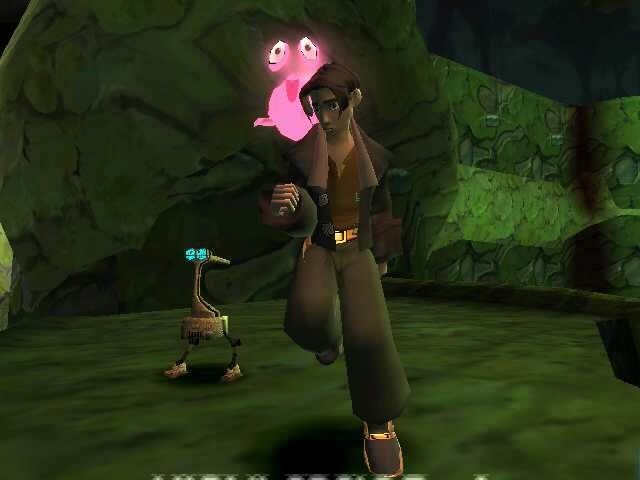 Disney’s Treasure Planet was a sure hit among younger audiences in the movie theatre and Disney is hoping for the same to happen on the Playstation 2 as well. The graphics are nice and polished using the Jax and Daxter graphics engine. One of the most impressive feats in the game is the use of actual scenes from the movie to show how the story develops. The cut scenes are split half between the movie and half between the in game graphics. The in game graphics cut scenes really don’t look all to pretty. The character models don’t appear to be detailed all too much. The game does run perfectly smooth and there is no lag or slowdown to speak of. The music is a mixed bag. The game does take themes from the actual movie and the game does include the all-star cast from the movie, but in the end this package doesn’t really deliver. While the game does claim to have an all-star cast, the instruction manual credits don’t really show any signs of well-known stars. The music gets to repetitive and the character voices just don’t sound interesting sometimes. For those of you who are not familiar with the story Treasure Planet is a game based on the Disney movie, which was just shortly released in theatres. You play a character named Jim Hawkins who is a rebel who has just recently discovered a secret map, which will lead him to the treasure of a captain. The treasure is hid ironically enough on Treasure Planet. You will take Jim Hawkins on different adventures in search of finding the treasure. The first thing that I immediately recognized was the immediate similarities between this game and another Sony game called Jax and Daxter. The game uses the same gameplay mechanics, graphics engine, and set up as well. It immediately seems that Disney interactive excavated the characters from Jax and Daxter and placed their own Treasure Planet character using the Jax and Daxter engine. This does lead to some problems and good things as well. 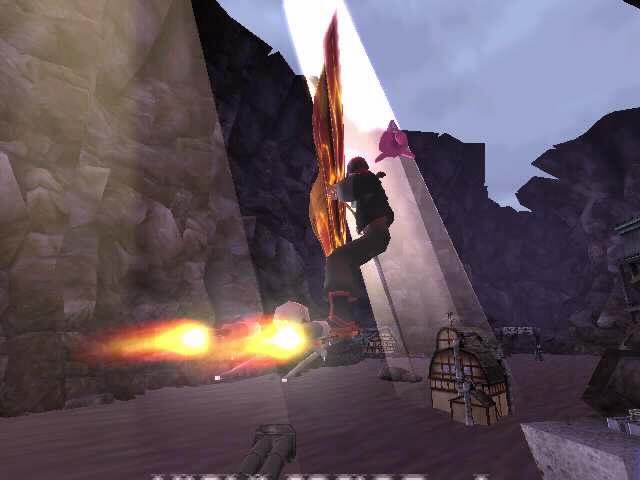 Since the game is similar in almost every way the beginning player (people who have played Jax and Daxter) will immediately feel like this game has nothing new to offer. They will immediately get the feeling that “I’ve been here played that” and simply put the controller down and walk away. The game does have some cool features such as Solar Surfing, which can be described as an unknown imaginary extreme sport. The Solar surfing does not seem to have much to do with the story line in the game. The solar surfing is basically added for enjoyment purposes and the entire point of the solar surfing is to beat the set times in the game. Some other cool tools include jet packs, cyborg arms, gliders and speedy boats. The game does have some interesting mini-games within each level such as destroying red boxes in a given amount of time using special robotic arms. Other games include catching a kangaroo type creature, which you must chase, throughout the entire level. The game does allow players to cycle between different missions in different environments, which is a very solid option. Since the game is aimed at a generally younger audience the control scheme is layed out quite nice and simple. The controls are very similar to Jax and Daxter. Like most adventure games Treasure Planet enables the player to use the right joystick to rotate the camera, but there are limitations. During solar surfing the right joystick cannot be used which does place some difficulty when looking ahead. The game doesn’t have much to go back for after wrapping it. The game shouldn’t take longer than ten hours for most gamers. The only real thing to go back for is the cool tools and to see if you can collect all of the coins and other merchandise as well. The game does also include tons of DVD extras such as behind the scenes footage and even music videos as well. Is Treasure Planet a good game? Yes and no. The game is fun for little bit, but since no real new innovation has been presented the game does get old quickly. Treasure Planet is a game, which should keep kids happy for at least a while. With this game having little to no replay value and being just another adventure game, those interested should check out Sly Cooper and Thievius Raccoonus or Rachet and Clank which are games that are both published by Sony.